Hi! 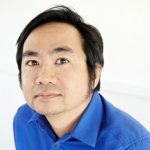 I’m Don Phan, founder of developerDB. Having worked for a number of tech companies has presented me with the chance to rub shoulders with both developers and recruiters. In fact, I’ve helped recruiters with recruiting and have done my own recruiting as “revenue” job openings never got the love they needed in tech companies. We were spending an exorbitant amount, not just on overall recruiting, but on LinkedIn alone, while receiving little ROI. The other tools and services available in the market were not much better. In response, my team has created our own database of talent. After witnessing inefficiencies in tech recruiting and complaints from developers that they were getting pitched for roles that were inappropriate for their background and interest, we built a tool that will help tech recruiters better target candidates. And developers benefit because it cuts down on recruiters targeting the wrong candidates. On our website, you won’t see “AI” or machine learning or any other useless buzzword popular in other recruiting service spaces. We believe these gimmicky buzzwords masked weaknesses in their databases. What we promise you is quality data, utilizing both algorithms as well as human verified.